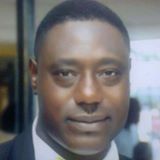 Founder & Chief Executive Officer: Wasiu Abiodun Seriki is an experienced and seasoned Parking Services Professional and Consultant with over 12years industry experience. He initially graduated from Lagos State University with a BSc Hons in Physics before travelling abroad and holds ILM qualifications in Team Leading and Management tailored to parking related services coupled with other security qualifications. Mr Seriki was the main founder and previous managing director for 18months of V-Park Management Solutions Limited of which he is now a non-executive director after successfully making a growth from zero revenue to about 150 million NGN ($1 million US dollars) at the end year1 of the business start-up, before then he worked for one of the leading European Parking Services Industry (APCOA Parking UK LTD) between 2002 and 2010 at a senior management level – Contract Management. He had participated in several parking projects and conferences in UK and also regularly feature in international parking magazine. He is a member of various international parking and leadership management associations and institutions e.g. BPA, IPI, ILM, e.tc. He was the first African to be appointed to the level of contract manager for parking management services in Europe and also noted as the foremost African to be awarded the prestigious Ernest Davies Parking Award in 2012 by British Parking Association, UK. Chief Marketing & Financial Officer: Emmanuel Aluko was amazed by how inefficient parking can be in major cities in Nigeria having widely travel both locally and internationally, He joined Complete Parking soon before its establishment. In previous lives, he has served as a Market Intelligence Manager for Goods Merchandising International and has survived a tour of duty as a senior account officer for PHCN. He is also a business director for Alum Crystal Ventures. He holds a Diploma and a B.Sc both in Accounting from Abuja University and Olabisi Onabanjo University respectively. 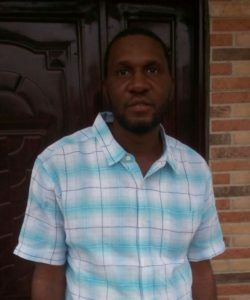 Chief Structural Engineer: David Bakare is a professional Civil Engineer with over 10 years of field experience. He passed out from University of Lagos in Nigeria in the year 2000. Ever since then he embarked on the journey of life in civil engineering world. Mr Bakare is diligent, hardworking and focused engineer which is why he stands out among his peers. He is also a member Nigeria Society of Engineers. International Advisor & Consultant : Tom Phillips an American has Over 30+ years of experience in the parking industry working in all aspects of the parking industry in numerous cities throughout the United States. Tom has specifically worked for leading national and regional parking management firms over the course of his career in cities big cities like New York & Los Angeles. His particular expertise lies in automation control procedures, audit systems, and new technology. He is also owns Phillips Parking LLC providing consulting services and also operating a real estate platform called Keller Williams Realty at the Parks. He had acquired parking properties valued at $175 million and consulted over 100 parking clients and projects since 2009.